Why not buy essential oils from the health food store…or anywhere else? The old adage “You get what you pay for” applies to this question. Do the oils at the health food store cost less? Probably. Are they inferior in quality? Yes. There are several grades of essential oils but since therapeutic grade is what matters for personal use that is the one we will be covering. Therapeutic grade has been the standard for the past 30 years. The only problem with this “standard” is that there really isn’t a standard. 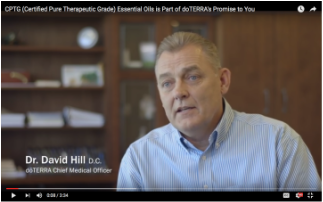 Anyone can put a label on a bottle of essential oil and call it therapeutic grade. While there probably is some essential oil in the bottle, more than likely that is not all that’s in the bottle. Unfortunately there can also be fillers, pesticides, and other contaminants in there as well. Proper extraction and quality control methods ensure that essential oils are free of any contaminants such as pesticides or other chemical residues. Even though an essential oil may be 100% pure, if the right species or part of a plant has not been used, or if the plant has not been grown in the right environment or harvested at the right time, or if it has not been distilled under the right conditions, the natural chemical makeup of the extraction will not provide as predictable and powerful a benefit. In some cases, the wrong plant harvested at the wrong time may result in an extract that contains harmful levels of some constituents.